نوع برنامه : اطلاعات عمومی و خريد از راه دور. 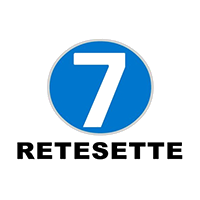 Headquartered in Piedmont, Retesette, also known under the name Rete 7, is an Italian local television station. Basically, its coverage area has historically included the cities of Piedmont, Val D’Aosta, along with Lombardy and Liguria. 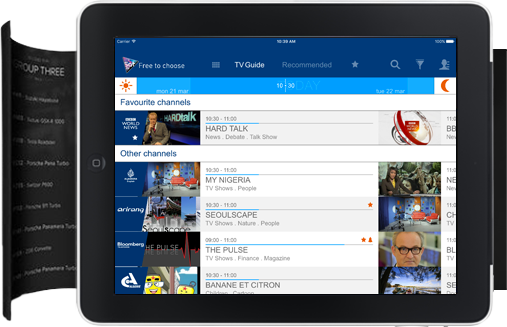 Thanks to the dissemination of its satellite programs on this channel, Retesette has been able to reach wider areas and has become a major player in the Italian media landscape. To raise its profile in the Italian media landscape, Retesette makes extensive use of technical resources. Added to this is a team of experienced journalists and a highly skilled background team, which researches its factual programming. The television station owes its success to the special relationship it has with its army of loyal viewers. To these people, the chain offers customised programs that fit the preferences of the public perfectly. Retesette tends to adopt a general line in its coverage, and its programs cover a wide range of areas. The TV station tries to feature all of the topics making the news. Whether it’s politics, economics, art or culture, Retesette is an excellent channel for viewers who wish to take the pulse of Italy. The program schedule features news broadcasts, as well as televised debates, but also includes various themed programs. For instance, sports enthusiasts can follow the results of sporting events such as the national football championship. The schedule also includes plenty of talkshows, which are extremely popular with viewers. The Italian TV station Retesette also broadcasts a wide range of documentaries and numerous entertainment programs.